Each year, millions of U.S. children and teenagers require orthodontic intervention to “fix” crooked teeth and misaligned jaws—and, in many cases, the first intervention isn’t a long-term solution. Meanwhile, countless adults each year have their wisdom teeth pulled as a way to eliminate mouth pain or prevent damage to surrounding teeth. The anthropological record suggests these kinds of dental problems didn’t exist 1,000 years ago, or even 300 years ago. Marianna Evans, D.M.D., and Kevin L. Boyd, D.D.S., M.Sc., have a pretty good idea as to why. Based on their scientifically defensible research, Drs. Evans and Boyd have reason to believe these problems stem from subtle but significant changes to the human craniofacial structure—a smaller, more slender skull and weaker jaws, for example—that have occurred since the beginning of the Industrial Revolution in the mid-19th Century. Besides affecting jaw structure and the way teeth fit in the mouth, these evolutionary changes can hinder a person’s airway, thereby causing other serious health problems, such as pediatric obstructive sleep apnea and even neurological issues such as attention deficit/hyperactivity disorder (ADHD) and lower IQ. But why did these evolutionary changes occur? The doctors suspect shifts in the human diet, such as artificial methods of infant nursing and weaning with commercially processed cereals and other “baby foods.” Centuries ago, humans in hunter-gatherer societies who foraged for their food consumed a lot of fresh, tough and fibrous foods, and they also used their teeth to make tools and process leather for their clothing. In other words, their jaws had to work harder, so the underlying muscles were stronger and their facial bones were thicker. The advent of farming— specifically the introduction of cereal grains and dairy—changed everything. Such understanding has also dramatically affected how Dr. Evans—a dual specialist in orthodontics and periodontics—treats patients in her practice. This means starting young, working with children (and their parents) to adjust everything from their posture and breathing habits to the muscle tone of their jaws. Infinity Dental Specialists already treats children as young as two years old when all 20 of the baby teeth have usually come in, though the focus on re-shaping craniofacial structures starts well before that age, according to Dr. Boyd. Drs. Evans and Boyd met through a joint interest in anthropology and oral health—and, specifically, the intersection of those two interests. After a shared acquaintance introduced them, they began to collaborate on various research protocols that essentially connect their clinical practice activities to the anthropological research data they have been collecting together. They have since been invited to serve a second three-year term as visiting scholars at the University of Pennsylvania Museum of Archaeology and Anthropology in Philadelphia under the tutelage of Professor Janet Monge. In addition, over the past five years, they have been lecturing nationally and internationally about the craniofacial differences between pre-industrialized and modernized cultures, as well as how those differences have affected breathing and jaw development. Besides their soon-to-be-published research, the doctors are in the process of developing a locally based teaching institute to train orthodontists, pediatric dentists and general dentists, about the science behind their research protocol. Although most orthodontists have the technical skills needed to treat patients in accordance with their approach, Dr. Boyd says those who don’t specialize in pediatrics often lack the expertise in managing normal childhood anxiety behaviors. 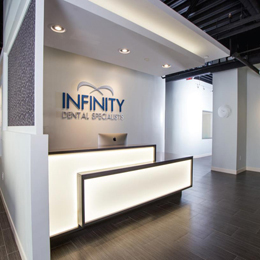 Infinity Dental Specialists is currently among a select few U.S. orthodontic practices working to solve malocclusion and other craniofacial issues by addressing the underlying pathology, but it is taking bold steps to create a viable path for others to follow. “The information we’re able to provide can be very helpful to other allied health professionals who might otherwise be outside of the dental profession’s umbrella, such as sleep medicine physicians, pediatricians, otolaryngologists, speech therapists and myofunctional therapists,” Dr. Boyd says. 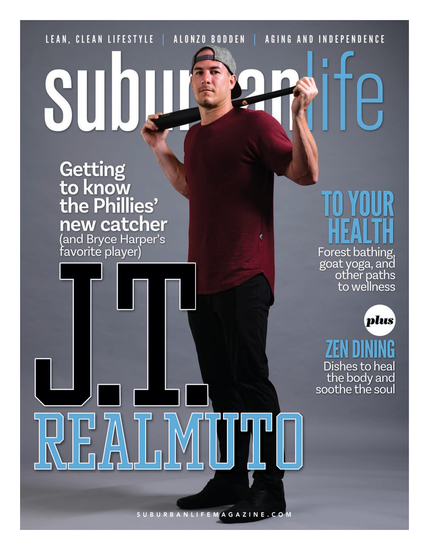 Published (and copyrighted) in Suburban Life Magazine, October, 2017.